Why Consider a Lapeer County Well Water Pressure System ? Why Consider a Lapeer County Well Water Pressure System? When we use water on a day-to-day basis, we expect it to work right every time. It’s not just about having clean and fresh water. 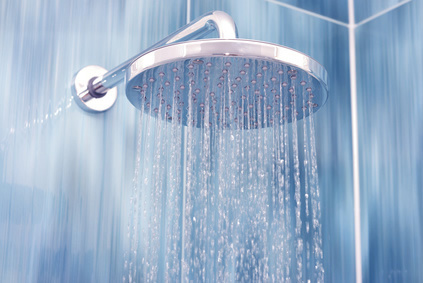 Having good water pressure makes washing, showering, watering plants, and cleaning in general easier. It’s more than inconvenient when the pressure is lower than it should be. Sometimes it can be caused by your plumbing. Other times, it could be caused by something else that’s preventing your water from getting to your home. One way to ensure that your water is yours alone and will only be going to your home is to have a water well installed. Water from a public water source comes in at a high pressure. Thanks to a device that pressurizes your pipes, the high water pressure won’t destroy them. However, if your home is already linked to a public water source and the pressure is low, you can talk to a plumber about it or call the water company themselves. Not having control over your own water pressure can be a frustrating hassle. The best way to avoid it is to have a water well installed with a constant pressure system. Professional water well drilling companies provide these sort of systems so the water from the well will easily reach your home. By having a personal water source, you can make sure that the pressure is also consistent. Some say getting water from a water well decreases the pressure, but with a well-built pressure system, you won’t have to worry. If someone else’s water source is acting funny, your water pressure shouldn’t be affected. Also, you won’t have to risk your plumbing being affected by factors beyond your control. Another issue that causes low water pressure is when two or more fixtures are beings used at the same time. It’s common in most homes, but when it’s happening frequently and in a much more dramatic way, it can really affect your day. For example, someone is using the kitchen faucet to wash dishes. Then, someone else turns on the shower. Suddenly the kitchen faucet has lower pressure and isn’t functioning properly, and the person taking a shower will need to wash up for a longer time to get clean, further wasting water. When you obtain your own personal water source, you can also get a personal filter and pump. If you’re tired of water pressure issues throughout the day, especially when it drops extremely low during the evening and nights, contact a professional well drilling company. You can have your own source and equipment rather than being at the mercy of what a public water supply offered you. 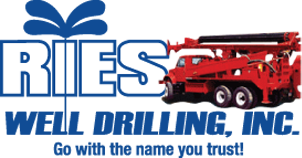 If you’re ready to stop dealing with low water pressure, contact Ries Well Drilling, Inc.